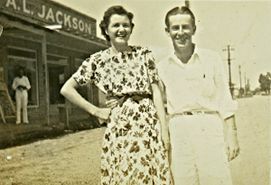 Old photos evoke the town's past and bring back memories of some of its favorite characters. 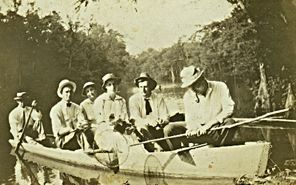 Fishing was popular in an area rich in wetlands. 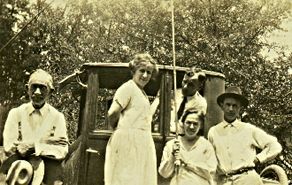 These photos capture the flavor of a summer in the 1920s. 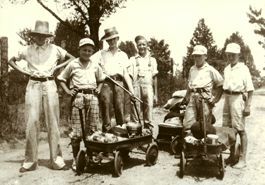 Young campers in the pre-backpack era of the 1920s (above left) were (from left) Jack McRee, Edgar Cole Clark, Archie Hill, Wade Rice, William Holcomb and Kirk McRee. 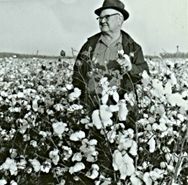 At right, L.T. 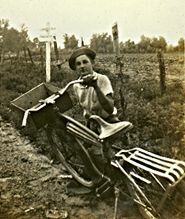 "Junior" Hayden shows off a bike he got in 1939 for selling newspaper subscriptions. 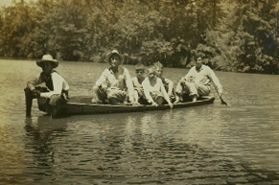 A crowded canoe was an escape from school. 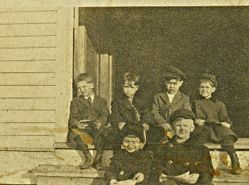 Among the pupils at right above is young Dot Hayden (third from left in the top row). 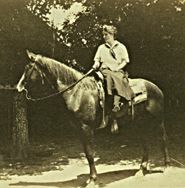 Mary Jane Williams drives and rides her beau Edwin Holcomb's favorite horse, Dan. 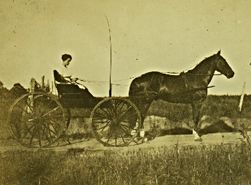 Sunday rides in the car and playhouses were many children's delight. 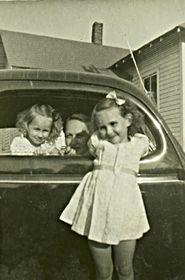 At left are Ruby Hayden at the wheel with her daughters Marianne in the car and Jeanette hanging onto the door. 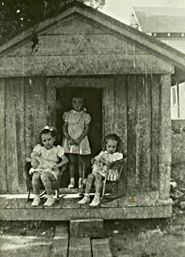 In the playhouse are (from left) Marianne Hayden, Shirley Bloom and Jeanette Hayden. 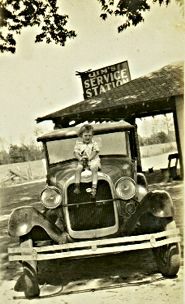 Young people pose on North Main Street (above) and a child poses on the hood of a car at an early service station. 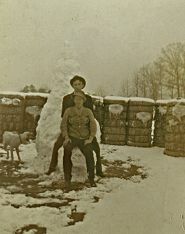 Snow blankets cotton bales as Edwin Holcomb (left, front) and Lee Casey show off a snowman. 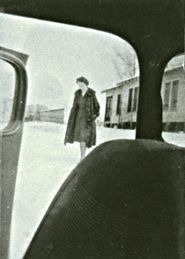 A car door frames Ruth Holcomb on her wedding day. 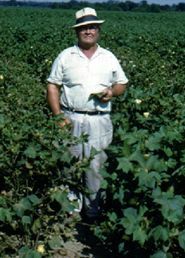 Cotton was king, and one of the top growers was also one of the town's most beloved characters. Dot Hayden shows off his crop early in the year (top left) and when it's ready to pick (bottom left). 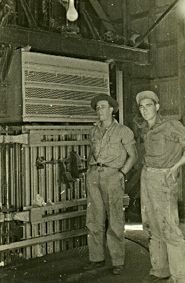 Above, workmen pose inside one of the town's cotton gins. 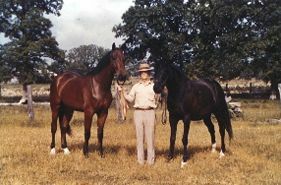 Saddle horses were a passion with Edwin Holcomb (above left) all his life. 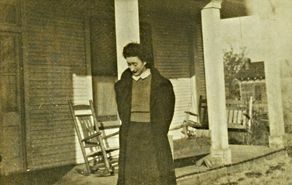 His sister Hortense Matthews is shown in the 1970s with her trademark cigarette.